Myself planning trip by coming week to Portland,USA. 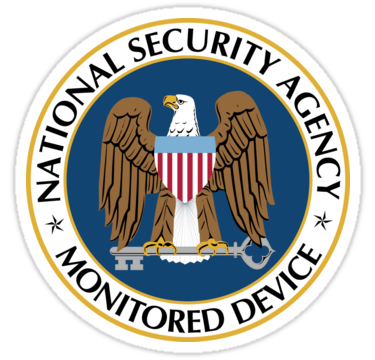 I carry laptop with a sticker "NSA Monitoring device". Is there any chance for getting arrested or refusing visa at transit due to the sticker. the sample image which placed above on my laptop was similar.My friends scares me that i might be arrested for that,Anyone faced situation like this before?Looking forward community suggestions. Understand, however, that there is a CBP policy that they can search your electronic devices. As in they will demand you unlock your device and let them search (likely copy) the data on your device(s), and will detain you until you do. That inexplicably happened to a NASA engineer. If I were you, I'd avoid poking that bear. Someone in CBP might see the sticker and demand a search. If you object, they'll point to the sticker and say "Well, you claim it's already been searched..."
Not the answer you're looking for? Browse other questions tagged usa b1-b2-visas electronic-items denial-of-entry or ask your own question. Can I bring my laptop, camera on flight to USA?